DonateDirect is a not-for-profit charity initiative that helps people donate their quality used items to disadvantaged individuals. By linking up everyday people with charities and Community Service Providers, DonateDirect creates matches --- between exactly what’s needed, with what’s being given away. This ensures that any donations go DIRECTLY to someone in need and are not re-sold. DonateDirect also promotes environmental sustainability by encouraging the re-use of quality used items so they don’t end up in landfill. Giving disadvantaged people the basic essentials they need makes a positive difference to their lives. Recycling good-quality items reduces environmental waste. Do you have good quality items you are no longer using that could be donated to someone in need? Do you often put quality items out on your nature-strip for council collection to landfill? 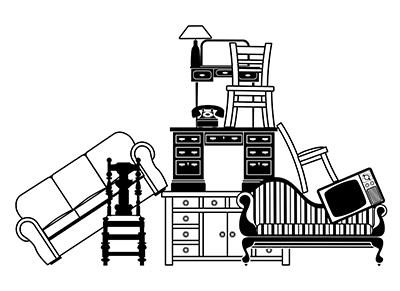 Are you decluttering your house or moving home? Be linked to a Charity or Community Service Provider who needs your stuff for a disadvantaged individual that they are assisting. Giving essential items to struggling individuals and their families makes a difference to their quality of life and has a positive impact on their future. Re-using good quality items stops people throwing them out and this reduces the environmental burden on landfill. Become a sponsor of DonateDirectto support our ongoing activities. DonateDirect is based on the philosophy that all donated items must reach intended recipients – those most in need. No items are re-sold. Anything you donate will go DIRECTLY to people in need, making a difference to their lives. Thank you for your interest in DonateDirect. We value your input and we'll get back to you as soon as we can.